Create a branding story for Black@ Facebook Seattle to support Facebook goals on being more inclusive. 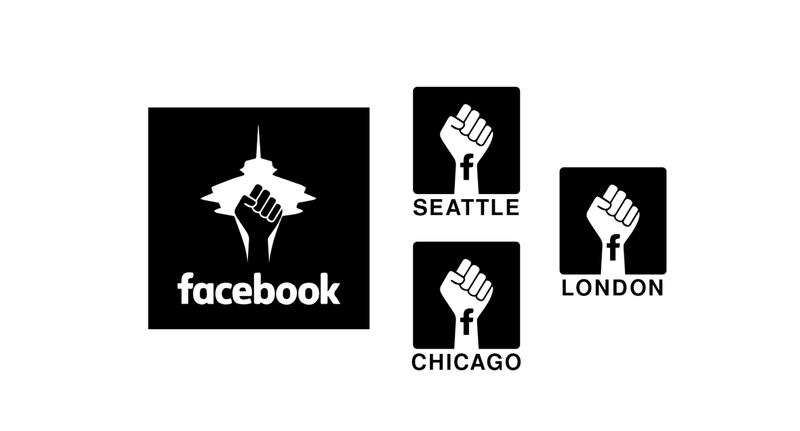 Ensure the Black@ Facebook Seattle branding would be built off current Facebook Seattle branding. Ensure we could help educate ourselves and the company with the new branding roll out about different cultures. Having the only designer located in a different building than other stakeholders. Bottom Up Effort, so not tied to official goals or timelines, which meant feedback,iterations,roll out planning were often delayed. Understanding the goals of the group to have their own unique representation but also be seen as an extension of Facebook. Worked from the current Facebook Seattle branding, investigating ways to build on top of the brand allowing it to extend to Black@ Facebook Seattle. 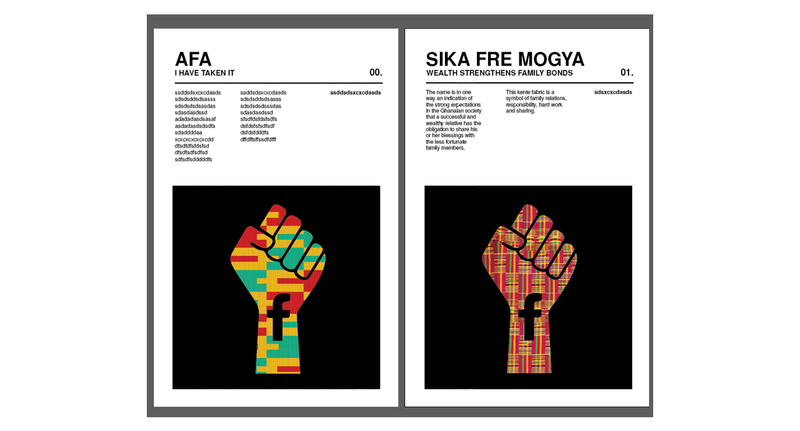 Learned from Black@ Facebook Chicago branding which had been outsourced. What did they do well, what insights were missing? Worked on many different iterations, integrating feedback from the black@ Facebook Seattle members. Explored options for locales that may not have designers, and how they could leverage this branding for their location. 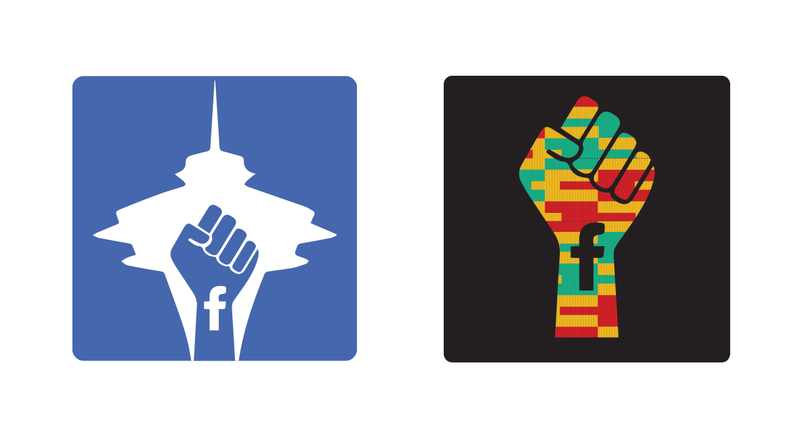 We considered the Black@ Facebook Seattle branding to be alive and constantly open to refinement. The following pieces below show the last agreed upon versions, and below that you can see some iterations we passed on, or pushed back for further refinement. All source files were delivered and passed on to be maintained and used in various formats including clothing.